In February 2017, I consulted with and provided the most current research and candid interviews for Channel 11 KHOU-TV’s investigative Reporter Jeremy Rogalski for a weeklong series entitled, “If ONLY PARENTS KNEW…. This series featured an honest, heartbreaking and powerful look into how kids are engaging in cyber bullying behavior, what it is and how it is exposing our teenagers to cruel bullying, explicit content, dangerous situations and more. If you would like to see the footage of each broadcast, as well as take a bullying quiz, authored by myself, to find how much you know—or don’t know—about bullies in 2017 or you would like to know the tips for how you can monitor your kids’ online habits. 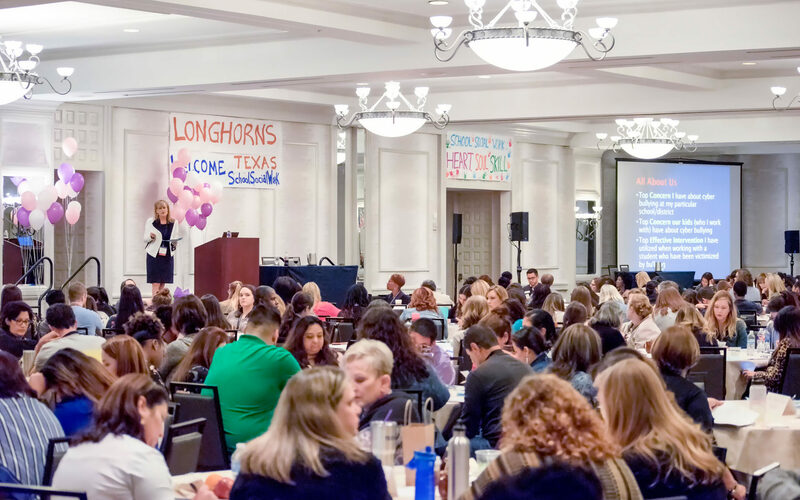 What an amazing experience to have the opportunity to again deliver a keynote and a workshop to a very large audience at the 26th Annual Texas School Social Workers Conference. The theme was “Transforming Generations”. School Social Workers have many challenges, including dealing with the rampant venues for cyber bullying. What does one do when cyber bullying spills into school? One cannot begin to address this issue unless one is equipped with a toolkit of innovative and practical interventions to combat bullying. Who would of thought that in our generation, kids would be using apps such as,” YikYak, kik, Chat-Roulette, 9Gag, Omegle, Vine and Whisper” to spread vicious rumors and post inappropriate photos/videos? Awareness is our first line of defense; we have to know what and how our kids are utilizing social media to escalate viciousness and terrorize other kids 24/7. Affronted by cyberspace’s bullying incidents, many school parents are looking to administrators, teachers, social workers and counselors 4 help. 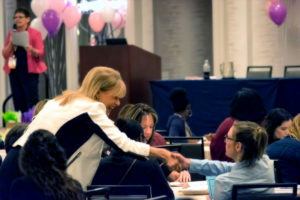 To all conference participants’, my hope is that you will take your toolkit and immediately begin applying what you have learned during this session, both on the school front, as well in your community! 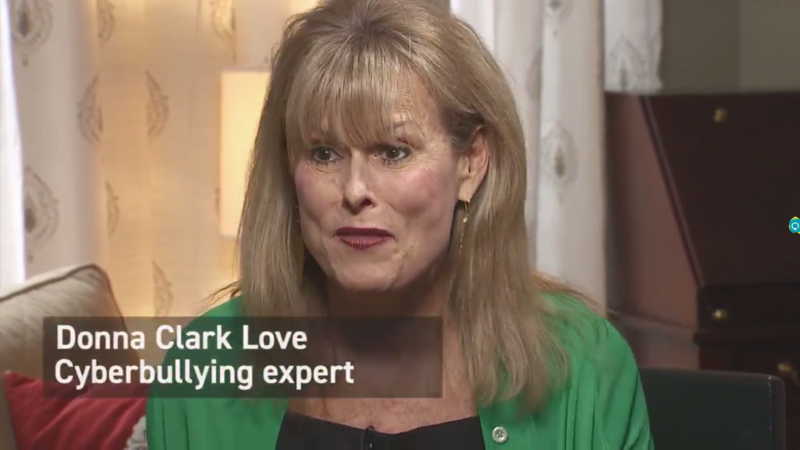 Who would not feel honored in receiving a phone call from a Forbes Magazine reporter requesting an interview on cyber bullying and then being featured in the article as a bullying expert? 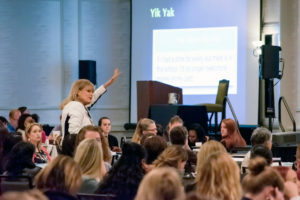 One of my quotes from the article: “The people who tend to be bullies, online and in person, have an average or higher self-esteem than their peers.” Conventional wisdom has long suggested that bullies come from rough families, have low self-esteem, or mainly harass others because they were once victims themselves. So, in turn, schools and workplaces have designed interventions/programs for bullies with the belief that the ones who are engaging in bullying behaviors have low self-esteem. Countless research studies/surveys have found that bullies have higher self-esteem, lower rates of depression and greater social success than their peers. WOW! 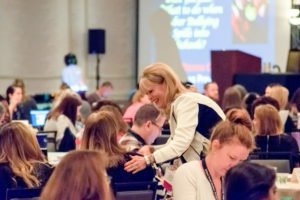 This means that schools and workplaces need to make some dire changes in the way they implement bullying prevention/intervention techniques and programming! If you would like to know more about this research and actually learn what works and what does not work in bully prevention/intervention, contact me to speak, consult with or train for your particular school or organization! 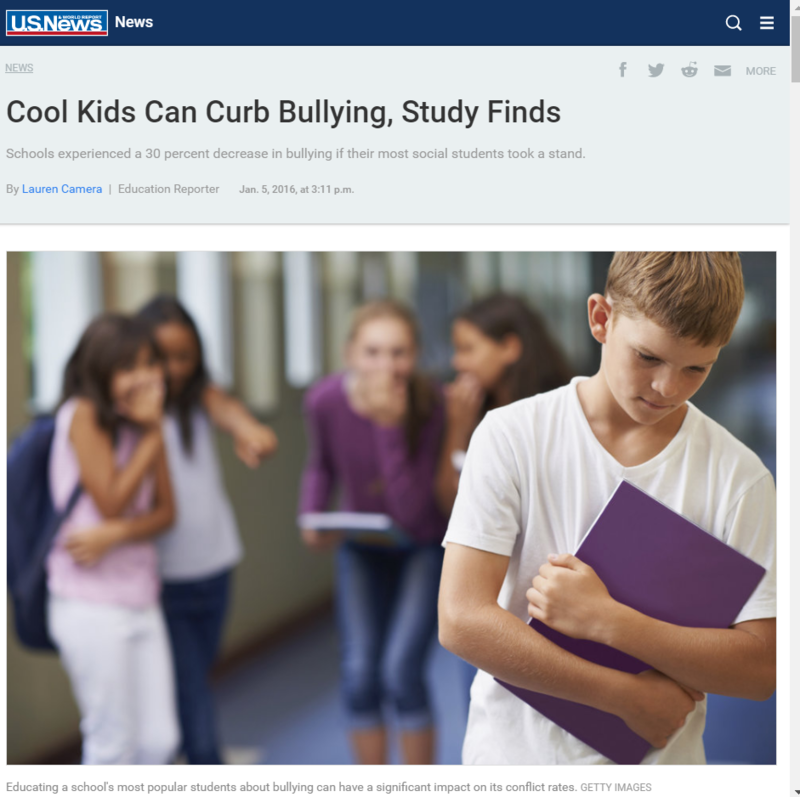 I wanted to cheer when I read the article, “Cool Kids Can Curb Bullying”. Did you know that schools who have trained kids to effectively stand up for themselves, as well as stand up for their peers have a 30% decrease in bullying incidents? 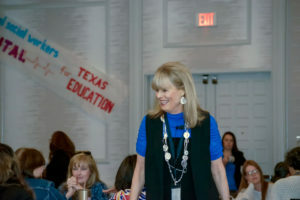 This last year I have been training students at Spring Branch Middle School in Houston, Texas. It is called the “Upstander” training. I have seen and heard about the impact these trained kids have made in a short period of time. 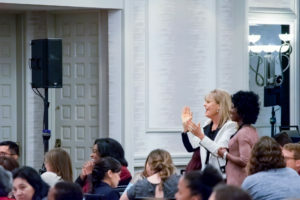 A group of researchers from Princeton University, Rutgers University and Yale University have shown that when students are the ones to take a stand against bullying – as opposed to adults in the school – it’s significantly more impactful! If you are a parent, educator, or youth minister and are interested in a research-based, dynamic and interactive “Upstander” training for your kids, please send a message here.